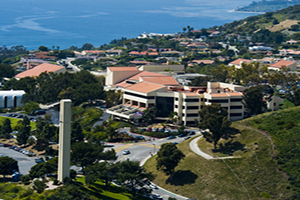 Law professionals will gather on Pepperdine’s Malibu campus from June 25 to 27 for the 28th Annual Professional Skills Program, a comprehensive seminar offering networking and valuable educational opportunities. This year’s conference will focus on dispute resolution. Last year's event included a record 300 participants from throughout the United States as well as six countries. Featuring a panel of nationally recognized experts in dispute resolution, this comprehensive program provides three days of unique educational opportunities for practicing professionals. Participants will network with nationally prominent faculty, as well as participants, at plenary sessions, lunches, and receptions. Course sessions will include lectures, small group discussions, and practice exercises. Faculty and other participants will also provide performance coaching. The synergy of ideas will provide a truly unique learning experience. Participants select the process in which they desire expertise (one course only), as all programs will be presented simultaneously. To provide for personalized instruction, enrollment for each course is limited to ensure a close working relationship among the faculty and participants. Early enrollment is recommended since many of the sessions fully subscribe. To enroll or request a brochure, please contact Lori Rushford at (310) 506-6342.